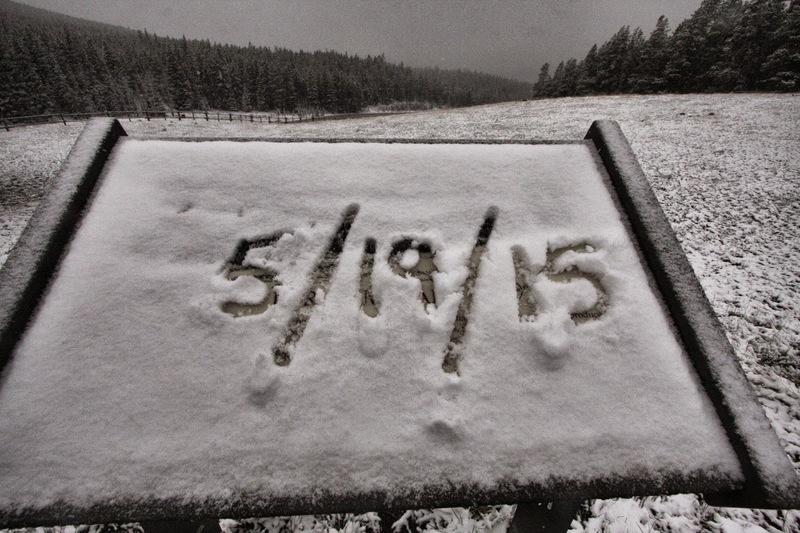 PADDLING MONTANA by Kit Fischer comes out Monday June 1st. 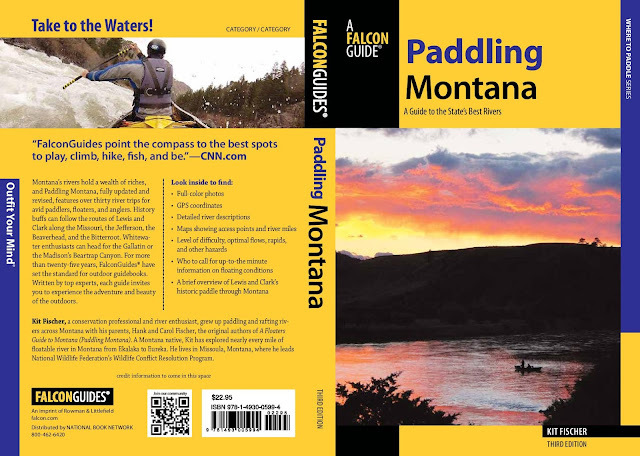 If you love floating and fishing Montana's incredible rivers, Kit Fischer's new book Paddling Montana, comes out this Monday, June 1st. I made a few contributions to this book and was thrilled to receive a pre-release copy! The book is excellent. The write-ups are very clear and concise. The river diagrams alone make this a welcome addition to any serious any fisherman's, rafter's or kayaker's library. The book is available from Amazon and Barnes and Noble It hits the bookshelves June 1 and can be purchased online and through other booksellers. Not only is this a great book, but I've been friends with Kit and his his dad, Hank Fischer, for many years. Hank wrote the original book. Hank just got back last week from bonefishing at Grey's Point in the Bahamas! Who better to take advice from than this experienced duo! Paddling Montana, formerly "The Floater's Guide to Montana" has been bouncing around in pickup gloveboxes since the late 1970s. 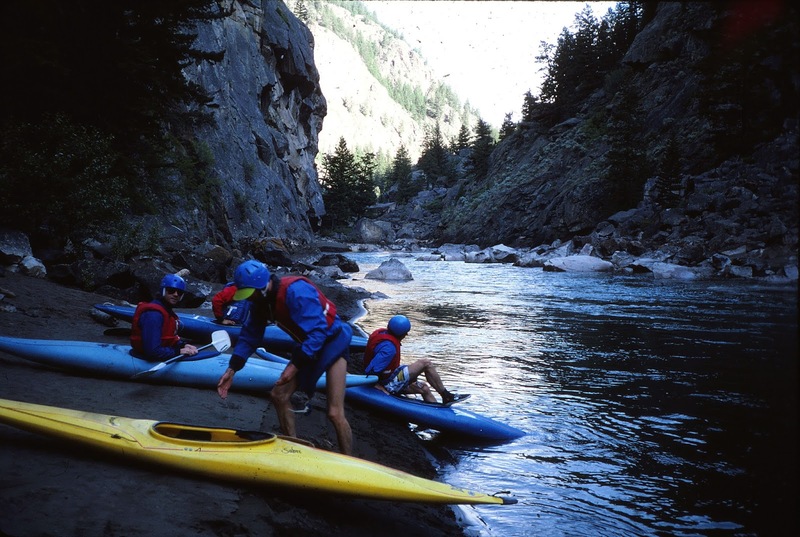 Now covering 36 Montana rivers, from the Yaak to the Yellowstone, it provides full color maps, photos and mileage information to plan your next adventure. 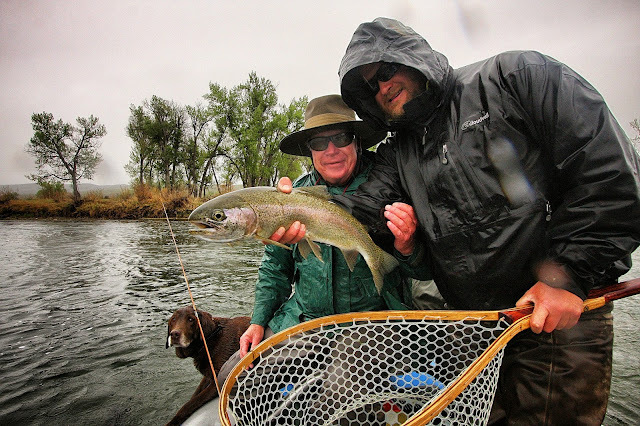 For the DIY fisherman to have all of Montana's river information in one place is extremely useful: put-ins, take-outs, mileage, obstacles, optimal flows, shuttle information and key historical facts (with a focus on Lewis and Clark). The guide, however, is obviously bent towards fishermen as a new section appears in every chapter depicting the float fishing opportunities. 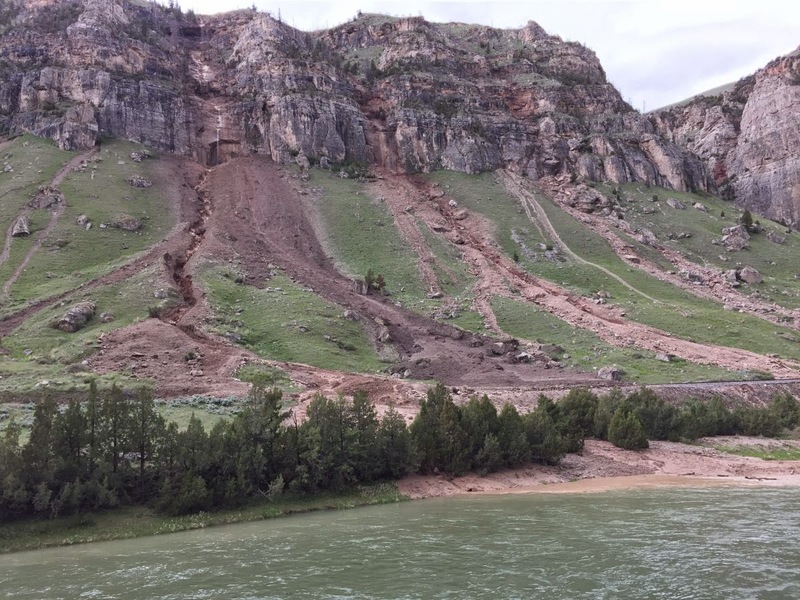 Wind River Canyon: What a Difference a Week Makes! 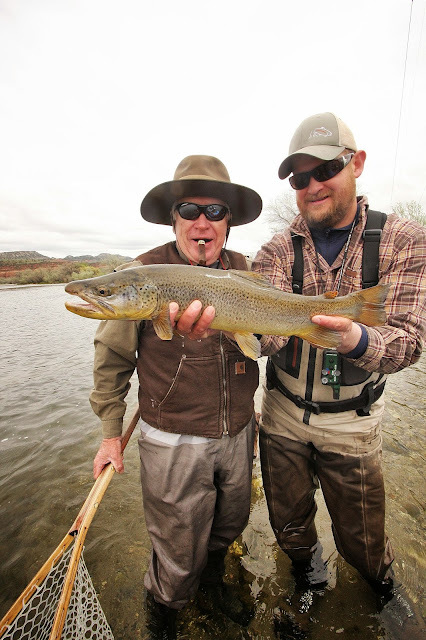 A week ago, you might remember, I was fishing on the Wind River near Thermopolis. The river was low, clear and the fishing was great. Today, after a huge amount of rain over the weekend, massive rock and mud slides have closed Wind River Canyon and the highway between Thermopolis and Shoshone. 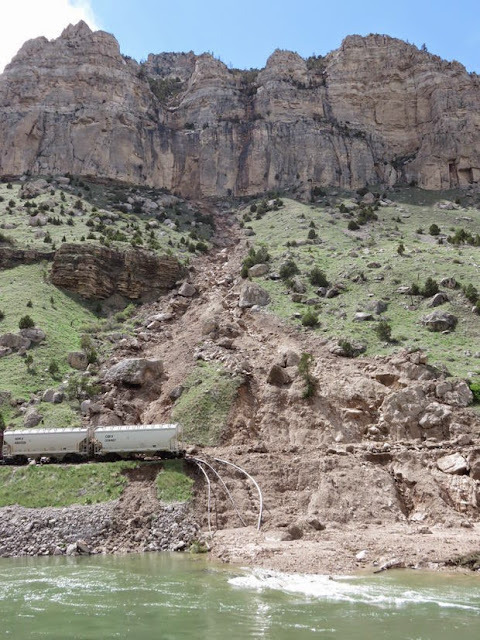 Half mile mud slides that are six feet deep over the highway include car-sized boulders and twisted guard rails. 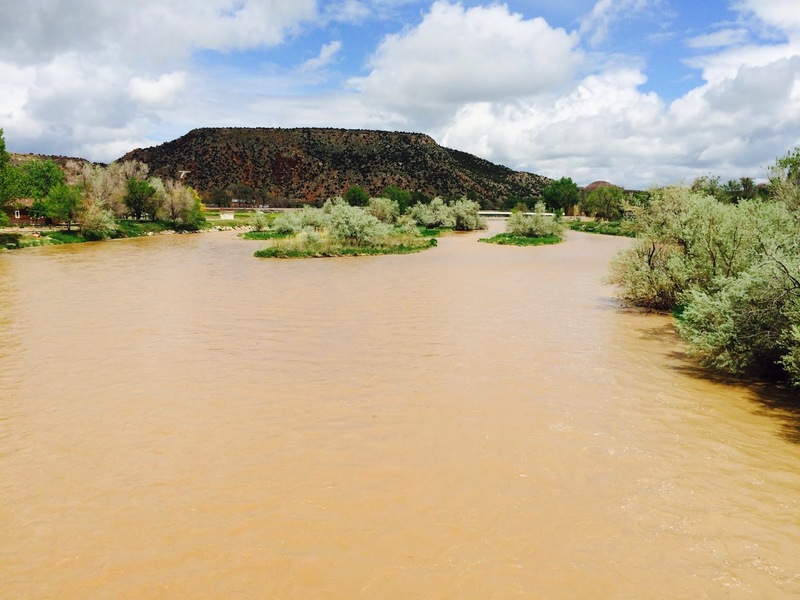 All the tributaries to the Wind River are blown out and the Wind itself is a muddy mess. What a difference a week makes! Usually in May, I'm concerned about our snowpack and whether we will have enough water for our trout to thrive during the dry and hot summer months. Our road to town.. great for cleaning muddy wheel wells! 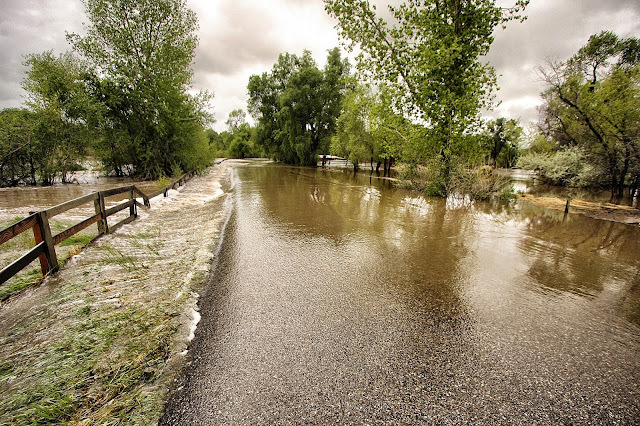 I helped a big snapping turtle get off this flooded road today! Yesterday we had two inches of rain in 24 hours. 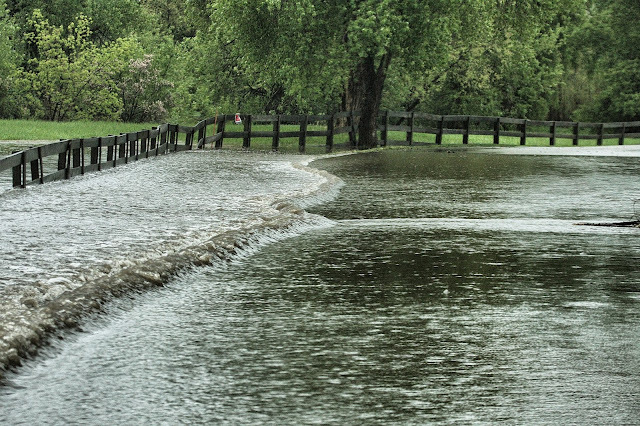 We've had flooding and road closures. 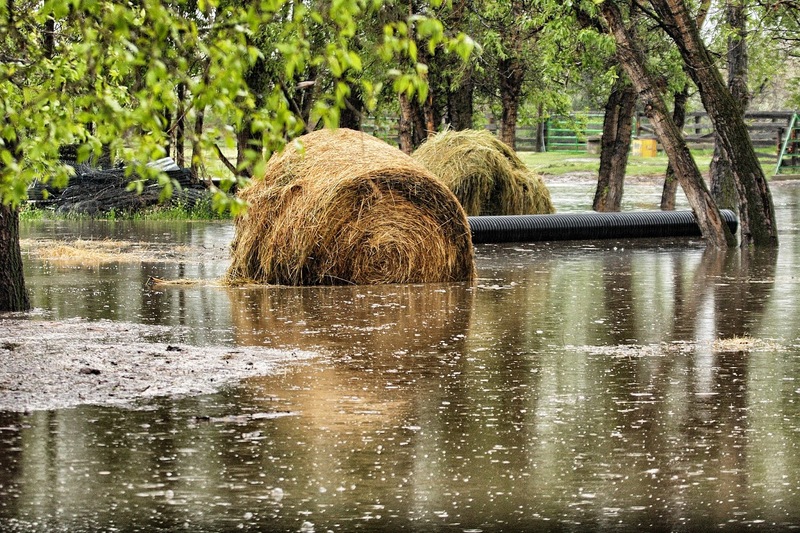 We can't even get over the bridge to get out of our subdivision… We have to take a back dirt road that takes us past soaked hay bales and horses standing in flooded pastures. This is great for kayakers, fish and fishermen... not so great for running to town to get a six-pack! The good news is: I think we are well on our way to a great summer of trout fishing!! 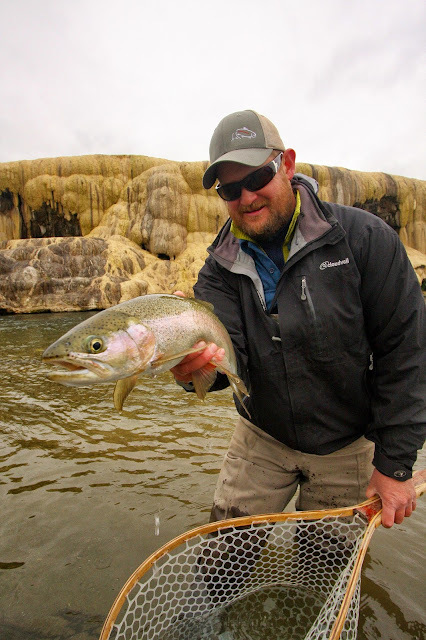 This week I fished Monday and Tuesday on the Wind River near Thermopolis, Wyoming with Chad Olsen and long time client and friend, Dan Cerven. Despite some bad weather both on my drive to the river and on my return trip Tuesday night, I had a great time with these guys making the rigors of Wyoming travel well worth it. Plus the quality of the fishing we encountered just made it that much better. It was world class! ….and the rewards were great. Dan and Chad with a big 'bow! Dan, Chad and I had a great couple days. Monday was perfect! 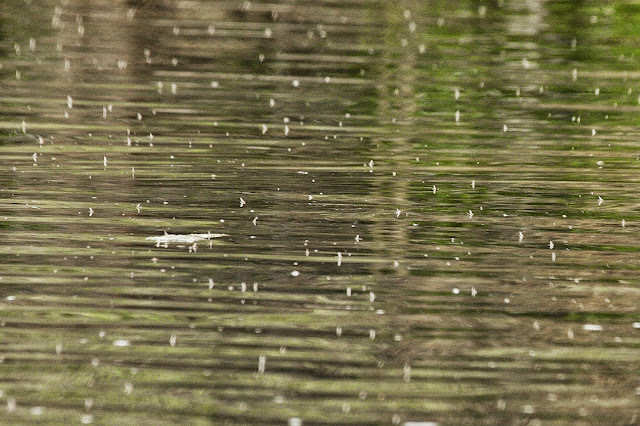 The kind of day a trout fishermen dreams about. It was dead calm, overcast and a bit cool. Perfect baetis weather and these little mayflies did not disappoint. By 10:00 AM, we could see the bigger fish staging in the shallows under the Russian Olives near shore or off moss mats caught in the roots of trees. The fish were ready and so were we! ...and it wasn't long until the fish started sucking them in. We didn't have to wait long. After catching a few big fish on nymphs, the duns started coming off around 10:00 AM. We switched rods and for the next few hours, experienced some awesome dry fly action to pods of big fish. 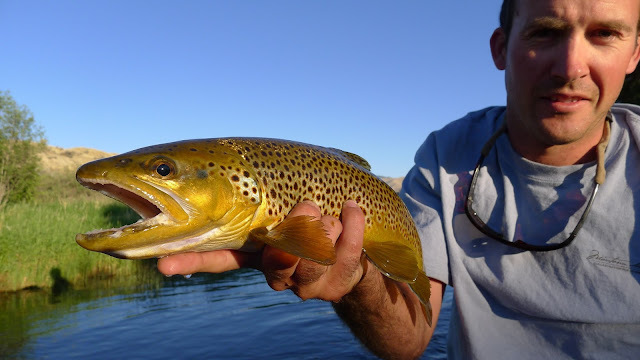 These robust Wind River trout are very strong and go crazy when hooked. For us, a small fish was 18 inches, but we mostly caught trout in the 19-21 inch range. 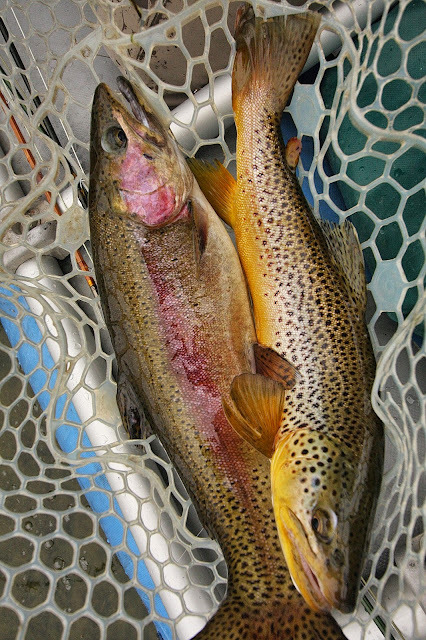 Dan and I both caught rainbows, browns and cutthroats to complete a Wind River Grand Slam. We had a mid-day lull only to have the dry fly action pick up again when the baetis spinners started falling in the afternoon. It was a simply awesome day! ...and a 21 inch brown. You know the fishing is good when you can do this! 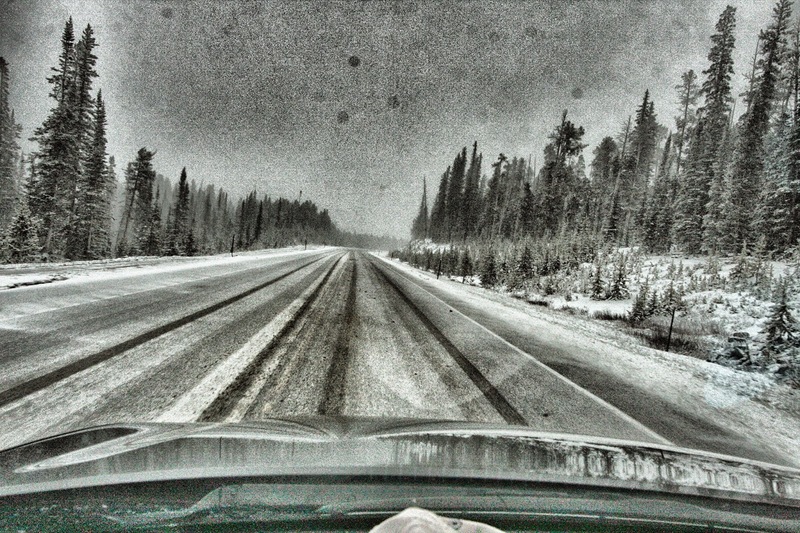 On Tuesday, our weather quickly deteriorated. 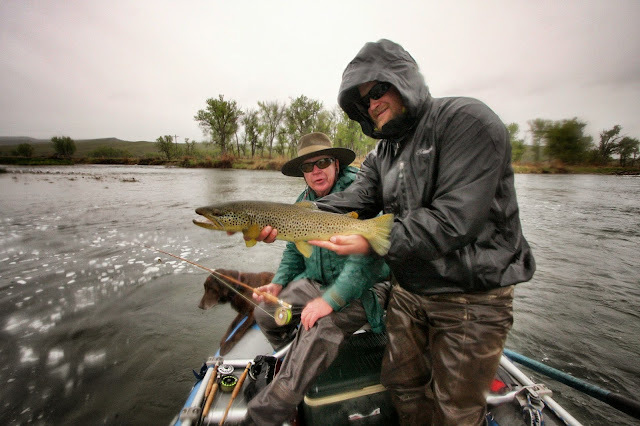 But despite some very cold, windy and rainy conditions, we caught some BIG browns and rainbows on nymphs. Dan and I both caught 23" rainbows plus numerous 20-21" 'bows and browns. We had very little dry fly action in the 20 mph winds and rainy conditions, but before I took off, I did manage to get a good cast to a 20+ inch brown that ate my #20 baetis dun like a champ. Now to try and get home! As I was sifting through my notes from our recent trip to Tarpon Cay Lodge on the Yucatan Peninsula, I remembered stuffing a bunch of tarpon scales in one of my fly boxes. 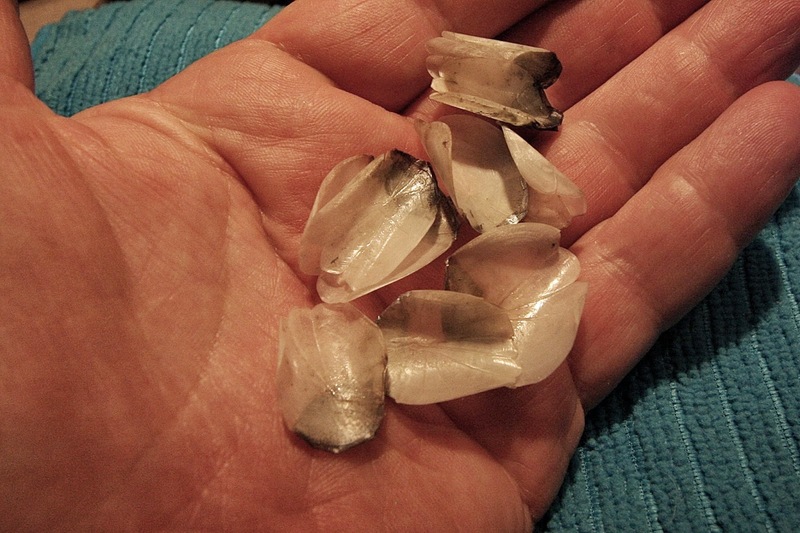 I had gathered these scales from the floor of our panga one afternoon. 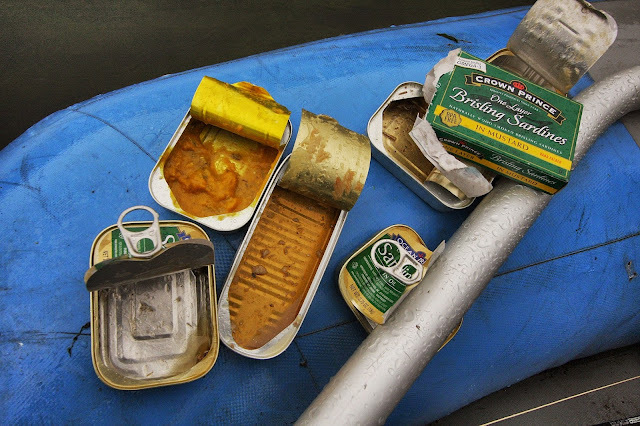 They had come from a sabalito that jumped into our boat unannounced and unhooked, whizzed past my nose and went berserk in the bottom of the boat. Last night, I went to my gear room and as I was looking for the scales, I started to make mental notes on what I learned on this trip. -First and foremost, relax, take it easy, you're not going to boat every tarpon you hook. You WILL jump many more tarpon than you put in the boat. -Retie your fly after each fish or at least carefully inspect your shock tippet for abrasion and knicks. If in doubt, retie. -Use as long a leader as you can comfortably turnover. Tarpon can definitely see the fly line in the air so false casts over fish or too short a leader reduces your odds significantly. -I prefer black hooks especially over dark turtle grass bottoms. Flies tied on black hooks seem to spook fewer fish. -Use flies that float (for the rios) or have neutral buoyancy (for the outside flats). Flies should be tied so to offer a soft landing if properly presented. -Sharpen your hooks! Sharp hooks penetrate tough tarpon jaws much better. 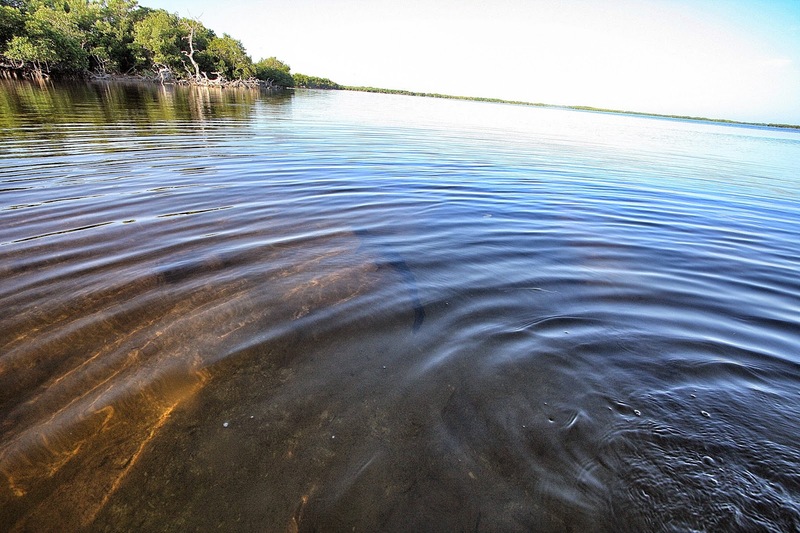 Check your hook every time you cast into the mangroves, snag the bottom or a sunken log, and after every fish take. 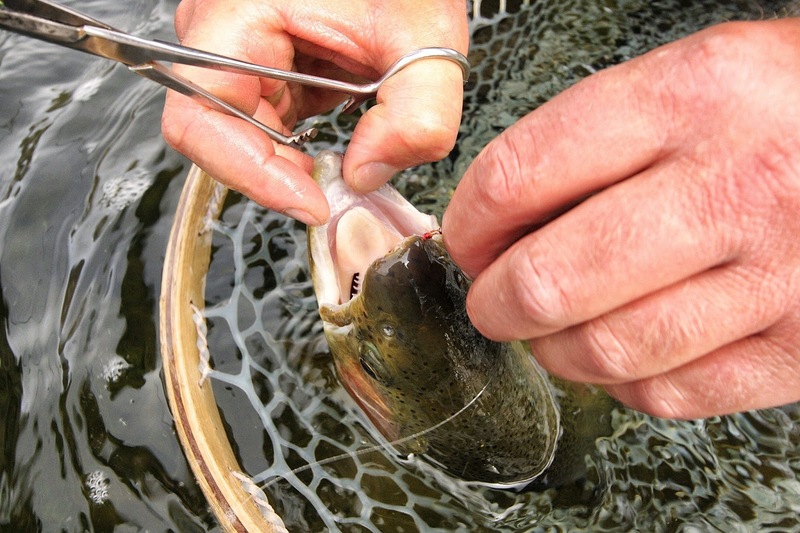 Drag the hook point across a fingernail without putting any downward pressure on it. A sharp hook should "hang up" or grab onto your fingernail, a not-sharp-enough hook will slide across the nail without hanging up. Keep a small diamond file handy. -Pinch your barbs! 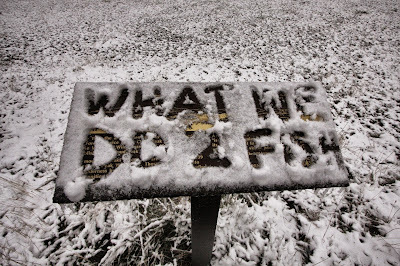 If not for the fish, then for your guide, your partner and of course, you! A barbed hook buried in the back of your head is not a good thing! Plus it certainly makes releasing a fish much easier. -Remember you know how to double haul. It's amazing how many anglers know the double haul, but forget to use it in the pressure of the moment. 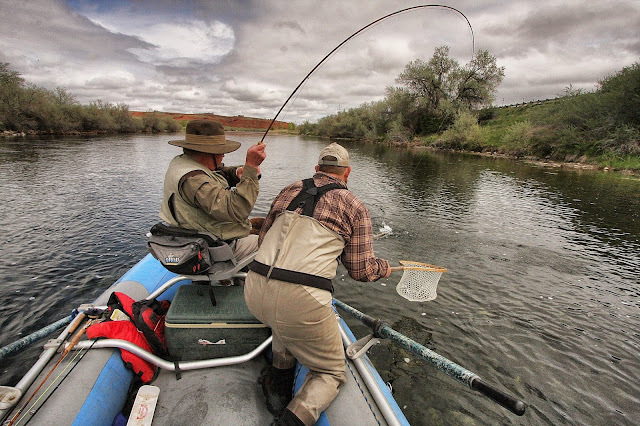 -You should help your fishing partner manage his fly line as he casts and strips it back into the boat. This is especially important on windy days. -Your fishing partner, your guide and you should be acting as a team. 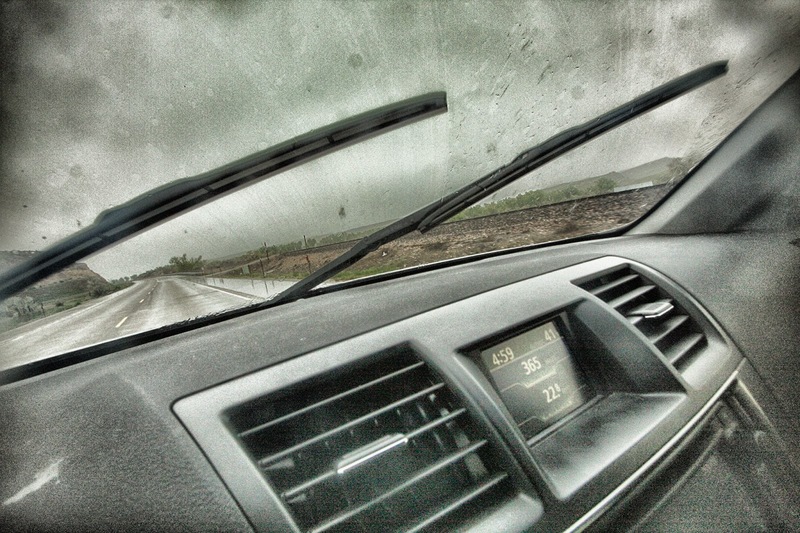 -If it is very windy try standing a little farther back on the deck and stripping your line into the footwell behind you. Here, your partner can grab your line and help you manage it and keep it from going overboard or under the boat. -If you cast too far, you will be stripping your fly into your target fish. A too long cast presents your fly abnormally to your target tarpon. 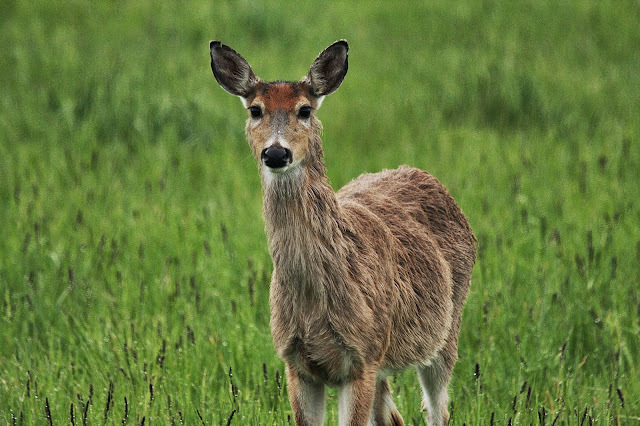 Prey species do not move towards predators. A fly coming at a tarpon will usually spook the fish. Also, you need to cast in front of cruising tarpon, but not too far in front, as they then might not see it. Now is your time to choose direction, velocity and distance. -Start stripping your fly the moment it lands, especially if your fly has landed very close to the fish. A stationary fly is lifeless and at best, will not elicit a response. At worst, it will spook your tarpon. If you cast too far in front of cruising fish your guide will often say “stop stripping”. This will let the fish get closer to your fly. He will then tell you when to start stripping again. -If a tarpon misses you fly on a strike, make a long slow strip to allow the fish to find your fly again, then begin short, quick strips once he has found your fly. -Do not strike as soon as you see the fish hit your fly. This is too soon. If a Tarpon takes a fly from behind, stop stripping to let the fly into the fish’s mouth, then strike. If the fish takes while swimming towards you, set the hook several times in quick succession if possible. -To set the hook properly keep your rod tip down next to the water's surface pointed directly at the fish while strip-setting. If you are off to the side, you will not have a tight line when they eat and you WILL NOT get a good hook set. Do not raise the rod tip trout-style, you WILL NOT get a good hook set. Again, DO NOT RAISE YOUR ROD TIP TO SET THE HOOK! -When your tarpon jumps, be ready to “bow”. Bowing means to push your rod forward while also lowering the rod tip. This releases the pressure on the fly during the tarpon's gill rattling, mouth open, head-shaking jump. It is then much harder for the tarpon to throw your hook. As your tarpon reenters the water start stripping in the line until you are tight again. -Don’t worry about getting the fish “on the reel” because while you are occupied doing that they will inevitably jump and you will lose them. Bigger fish will usually get on the reel themselves. Smaller tarpon (under 15 lbs.) are best landed by stripping them in and bowing when they jump. 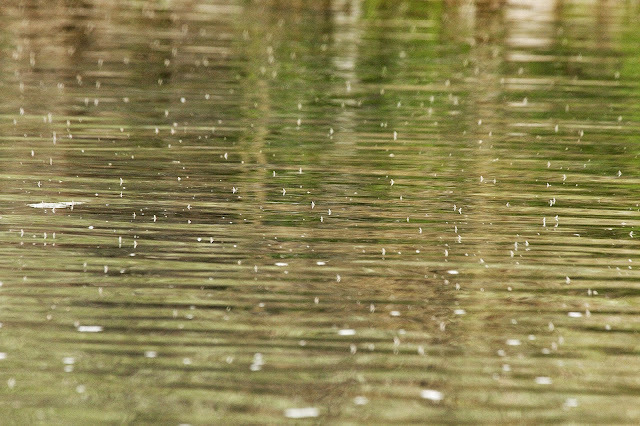 -Fight the fish with your rod tip down almost parallel with the water's surface... not vertically. If you hold the rod tip up, you generate much less power, you allow the tarpon to gulp air and you will come unbuttoned much more often. Fighting the fish to the side allows you to pull the fish in the opposite direction he wants to go thus wearing the tarpon out more quickly. -Many fish are lost when a tarpon jumps at the end of the fight near the boat. Here, your leader is is stretched and possibly frayed as often is your concentration. Keep focused! At this point, you don’t have the luxury of the fly line stretch to cushion the fish’s movements. When a tarpon is close, you must pay close attention and react quickly and precisely. Do not lift a tarpon out of the water by only its lower jaw. 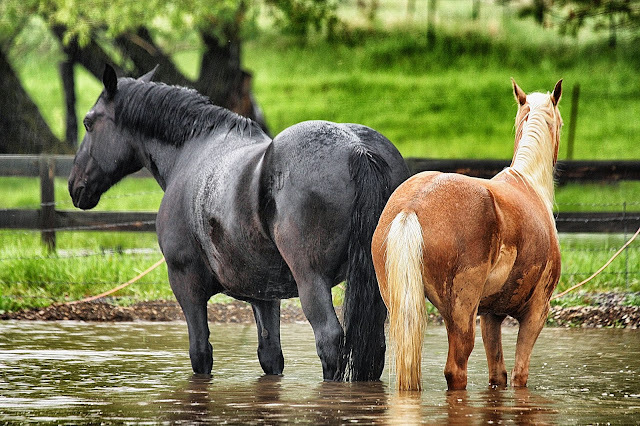 -Get your fish back in the water as soon as possible. If you catch a fish you want to photograph, keep it in the water, have someone get your camera ready, and when all is set, lift the tarpon by the lower jaw and support its weight with a hand under its belly. Take the shot and quickly get the fish back into the water. -Absolutely never ever hold a tarpon up by its lower jaw or with a Boga Grip out of the water. This can fatally injure the muscles in a tarpon jaw and prevent them from feeding efficiently, eventually resulting in starvation. -Same with lip gaffs often seen used on larger fish. That tears a large hole in the thin membrane of the lower jaw. The result is the tarpon cannot produce enough suction to inhale their prey and feed efficiently. -After you revive your fish and release it, take a deep breath, smile and celebrate with a cool drink from the cooler. You deserve it! 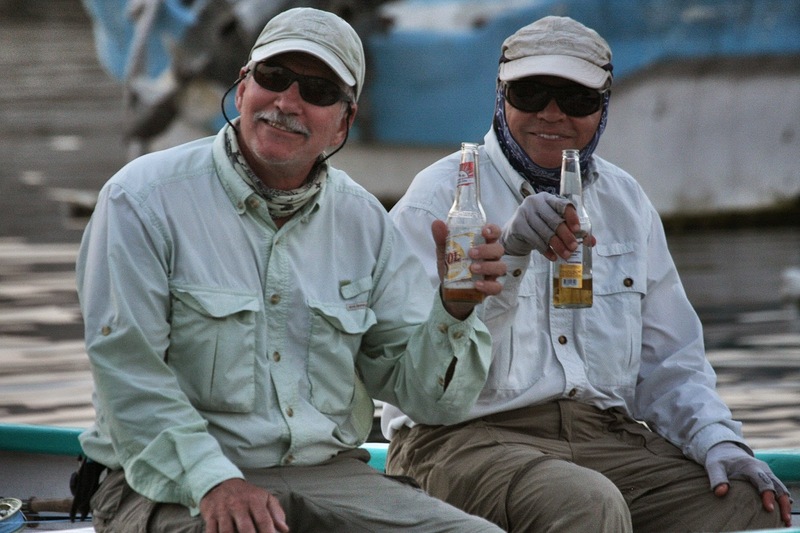 Doug Jeffries and Steve Peskoe enjoy a Sol after a great day on the flats!